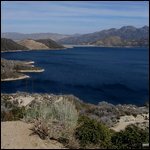 Silverwood Lake in Hesperia California is well known for many things: great picnic areas, stunning natural beauty and amazing fishing. We only got to stop at a vista point overlooking the lake. I wish we would have had more time to visit the lake this time. I have only visited Silverwood Lake once before…a few years ago and I was impressed by how blue and clean the water was. See more pictures. 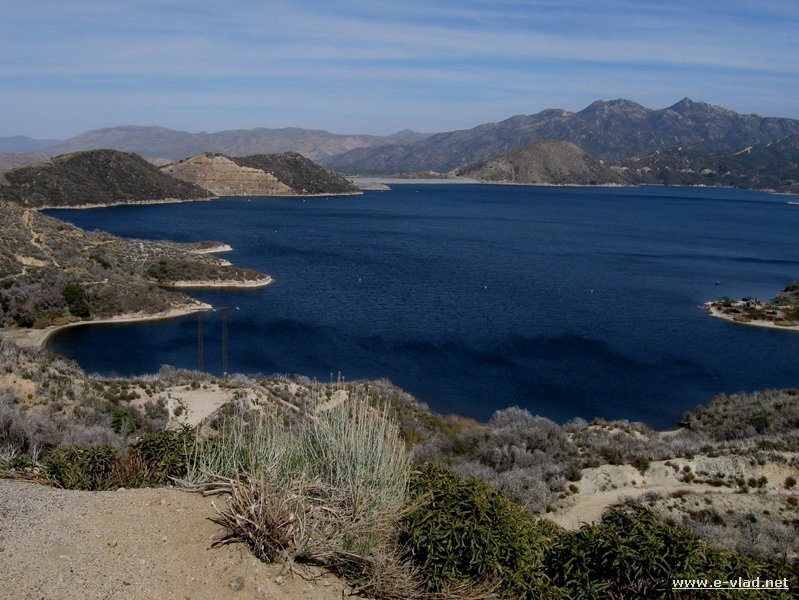 Also you can read my travel destination guide for Silverwood Lake and Wrightwood. Panorama view of the west side of Silverwood Lake in Hesperia California. 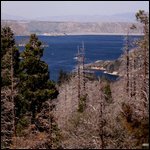 Hesperia, California – The eastern side of Silverwood Lake is seen through the trees. Ryan…I’m glad you like it in Hesperia…for me it’s a bit too hot. However, I have visited the lake a couple of times and loved it every time. My uncle loves fishing there. Pictures like these are what helped contribute to us making the decision to move to Hesperia. What a beautiful place to live, we enjoy every day.